The Alberta NDP had no choice but to oust backbencher MLA Robyn Luff from its caucus after she issued a political ultimatum and planned to boycott the legislature, says political analyst Duane Bratt. "I don't think they had a choice. You don't do a hit-and-run attack like this and then be welcomed back into the caucus," Bratt said in an interview Tuesday with CBC Radio's Edmonton AM. "She severed all ties the moment that she pressed send on that press release." Luff was removed from the NDP caucus Monday night after releasing a letter which criticized Premier Rachel Notley's government for a "a culture of fear and intimidation." Luff, elected in 2015 in Calgary-East, said she would not take her seat in the legislature until her concerns were addressed by Notley. Following the party's announcement that Luff was no longer a member of caucus, she took to Twitter late Monday to accuse the government of censorship. She also said she planned to issue on a news release on Tuesday which would reveal a statement she wrote which was "deemed inappropriate for the legislature," along with an email she was sent containing suggested edits. "I didn't edit it to their liking, so it was rejected," Luff wrote on Twitter. At worst it sounds like <a href="https://twitter.com/bmasonNDP?ref_src=twsrc%5Etfw">@bmasonNDP</a> is calling me a liar, at best he’s saying I should grow a thicker skin and hat I don’t understand how government works. If Mason is now the spokesperson for the NDP government he needs to answer - did I or did I not have a member’s statement rejected about this precise topic in May of 2017? To help him decide, tomorrow I will be releasing the statement I wrote that was deemed “inappropriate” for the legislature, along with the email I was sent that suggested edits. I didn’t edit it to their liking, so it was rejected. In her initial letter to the media Monday, Luff claimed she felt "bullied" by NDP leadership and that she could not represent her constituents because of strict controls in Notley's government. Luff said statements and questions backbenchers ask of ministers in the house — designed to address issues of importance to constituents — are written by the ministries for the backbencher to deliver. Government house leader Brian Mason told reporters Monday afternoon that he didn't agree with Luff's contention that she was being bullied, adding that she has a duty to represent her constituents in the house. Luff may have lifted the veil on the inner workings of the party, but her allegations should not have come as a shock to anyone in politics, said Bratt, a political science professor at Mount Royal University in Calgary. Backbenchers have little control, votes are often whipped and the party message is always strictly controlled, Bratt said. It's modus operandi for all political parties. "Everything that she described didn't sound like bullying to me. It sounded like traditional party behaviour," Bratt said. "It happens with government parties, it occurs with Official Opposition parties, provincially and federally. "None of this surprised me but what I think will surprise Albertans is that it's Rachel Notley and the NDP that is being targeted because they have tried to create an image of themselves as a very different party ... and yet they're operating in just the same way." 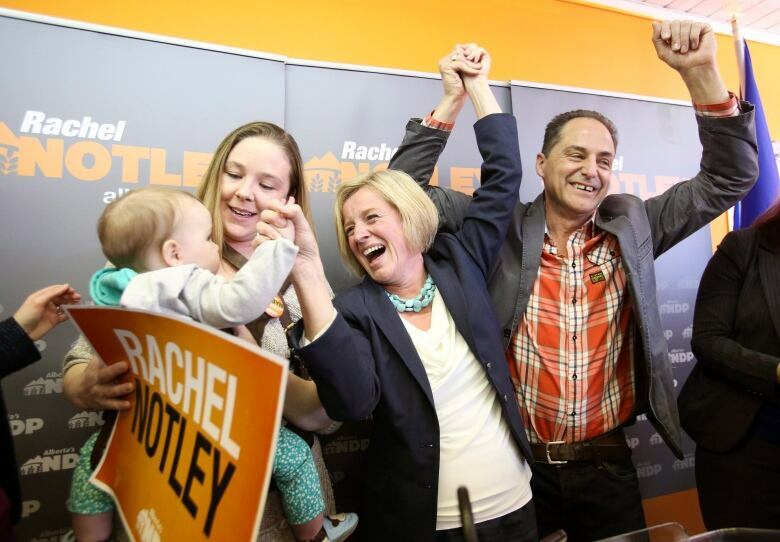 Bratt said Notley needs to use a heavy hand with her caucus. When the NDP assumed power in 2015, the party had a roster of inexperienced politicians. "A lot of the candidates ran campaigns under the radar, they didn't have campaign signs, they didn't have money," Bratt said. "So Rachel Notley ends up in government with a very inexperienced caucus. That may explain some of the centralization that was done and continues to be done. "The longer a backbencher stays in the legislature and they don't get some of these perks of power like being a cabinet minister the more they begin to chafe against the party leadership." Luff's decision to not sit in the legislature comes about a year after another Calgary NDP MLA, Karen McPherson, quit the caucus and later joined the Alberta Party.